Nuclear ?? Radiation ??.... A lot of people fear of nuclear & radiation. We have a few nuclear incidents around the world. Just google around and you will find it. But I would like to introduce to all of you an interesting career related to nuclear safety, which is the "Radiation Protection Officer". 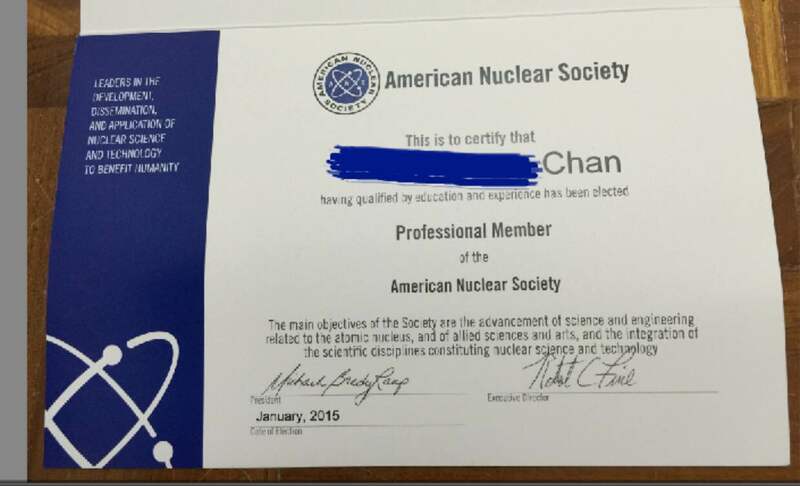 In USA, the career is known as Radiation Safety Officer. Well, what is that means? Well, it is a good and meaningful career. The job is to protect people's safety,by preventing deterministic effect of radiation, and minimising the stochastic effect of radiation to humankind. In Malaysia, before becoming a "Radiation Protection Officer", one need to attend a training course from approved training provider. After all, the next task is to pass a series of written and practical exam by the Atomic Energy Licensing Board of Malaysia (AELB). With good health condition, one can be certified as a Radiation Protection Officer , or Pegawai Perlindungan Sinaran in Malaysia. Result statement after I passed the Radiation Protection Officer examination from the Atomic Energy Licensing Board of Malaysia. In Malaysia, radiation protection is governed under the Atomic Energy Licensing Act 1984 (Act 204) and all the subsidiary regulations under it. 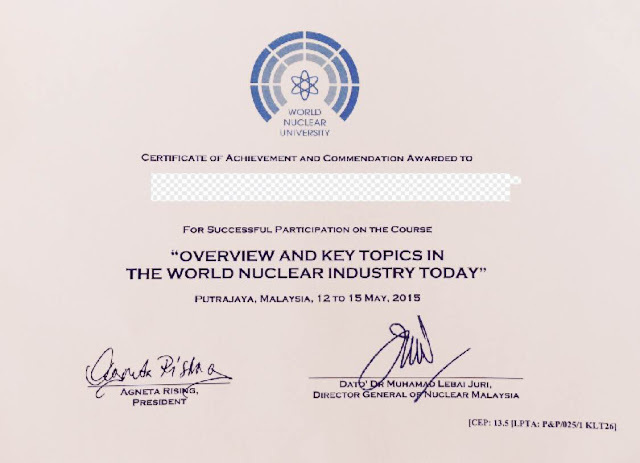 Also, as part of the Continuous Education Program for Radiation Protection Officer (RPO) re-certification, an RPO need to attend regular training courses, conferences, seminars, and workshops related to radiation protection and nuclear. One of the training which I attended in 2015 is World Nuclear University (WNU) short course. Feel free to contact me if you need more information on how to become a RPO and knowledge sharing related to the nuclear industry.